as their leaves sang in the breeze by a river . they gave me shade on a blistering day. I know your kin well. They are my friends. 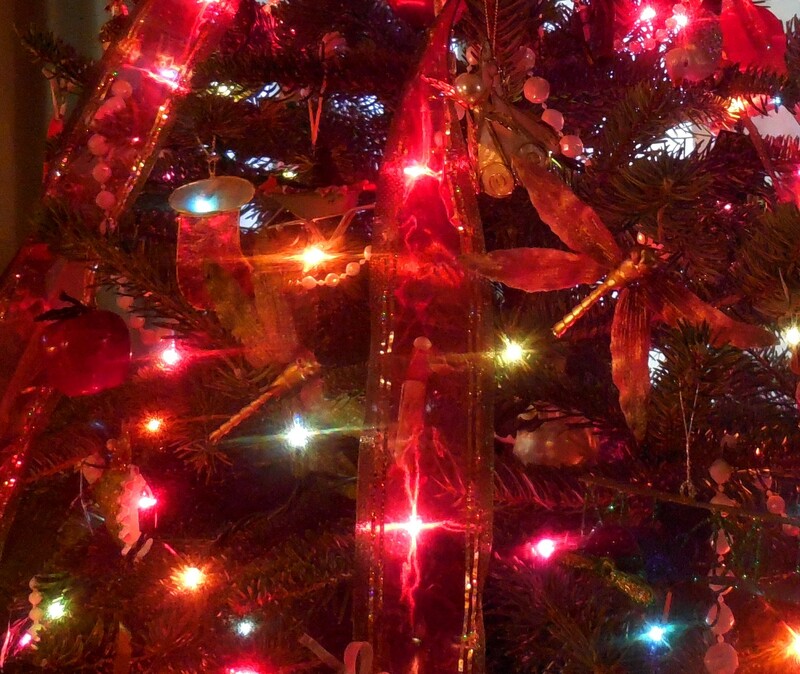 I took down the Christmas tree today – removed layers of ribbon, gauze, sparkle, and nostalgia. The sparkle and gauze are easy to take off. But taking down the sons’ grade school popsickle creations, the ornaments my students have given me through the years, and the Christmas tree decorations that we bought on family trips and adventures – those are harder for me to wrap up and stow away for another year. 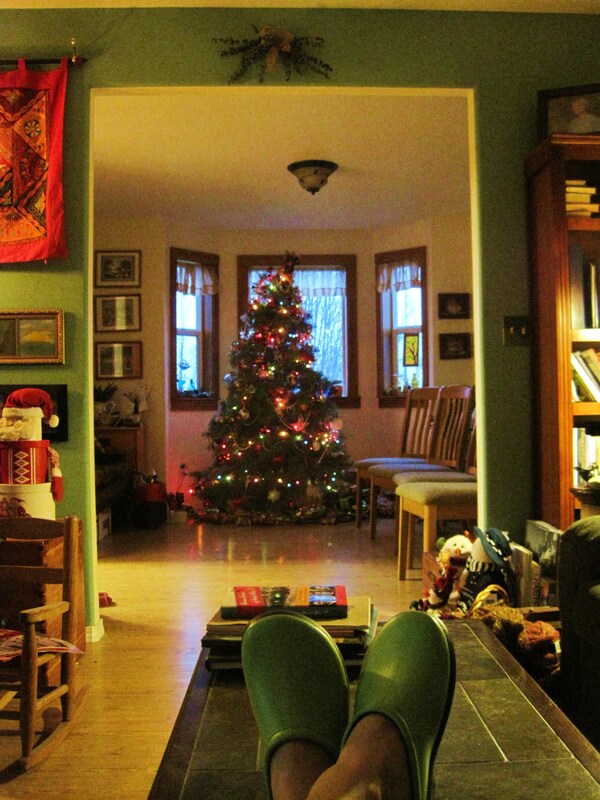 Our tree was really beautiful this year – a Turkish fir that we cut down at the local tree farm. On the day we cut it down, I promised that little tree that I would plant the seeds from its one cone and try to nurture its offspring. 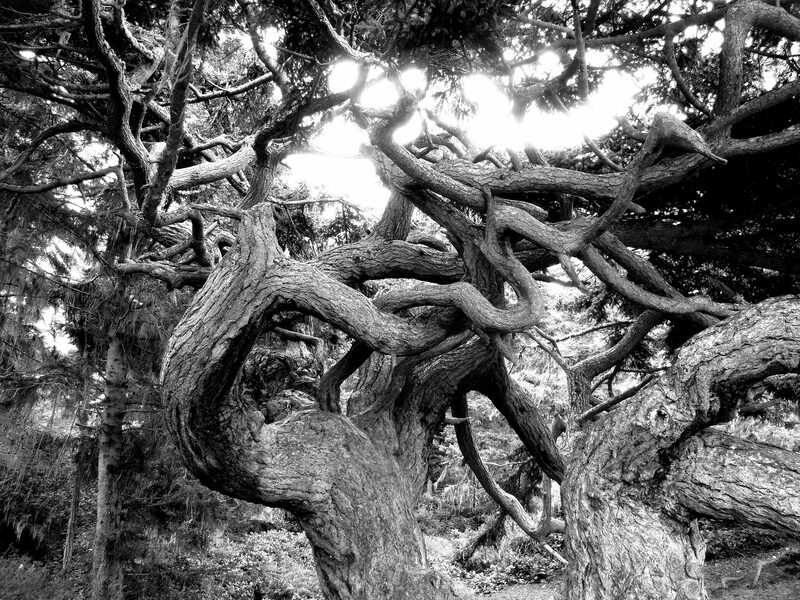 into fine sturdy evergreens. I planted the seeds in a pot a few days later. I tried to find information on the best way to plant Turkish fir seeds, but couldn’t find anything. I’m really hoping I’ll see little seedlings sprouting up next spring, though. Years ago, when one of our sons was maybe six or seven, he started crying when we cut down a tree for Christmas. He was really angry that we’d cut down a perfectly fine tree for no other reason than to drag it into our house and decorate it. We saw his point, and for a few years bought living trees in pots that we later replanted in the backyard. The problem with that, though, was that the living trees were always pretty small, and we had to make sure they didn’t dry out in the house. After the living trees we put up an an artificial tree for a few years. What was cool about the artificial tree was that we could bend its wire branches to keep the ornaments on it. But… well… it was a fake tree. It didn’t smell like an evergreen – it smelled like fire repellent. It didn’t bring life into the house, it brought man-made chemicals. After we’d had it a few years, it was looking pretty tattered and bedraggled, and the husband and I decided it was time to go back to real trees. Our annual sacrificial evergreen always has a place of honor in the house. We decorate it and make it sparkle, and appreciate the beauty it brings into our home. And this year I’m going to do what I can to keep our Turkish fir’s offspring growing. It’s the least I can do, right? I love trees. They give us shade, shelter, and oxygen. They hold the soil to the hillside, fruit on their branches, and our tire swings above the ground. Every year a little fir tree on the path along Bellingham Bay slowly begins accumulating Christmas decorations on its branches. Why this particular tree was picked to be the path’s annual Christmas tree, I do not know. But she’s a very jaunty little tree, and it brings me great joy to contribute to her Christmas finery, and to see her all gussied-up for Christmas.